YAYYYY for this long weekend ahead of us! I am keeping this short and sweet because I bought Simpsons Hit and Run for PS2 the other day and right now all I want to do is sit and play that. Followed by a bit of Spyro, and even some Crash Bandicoot if I feel like it. Now isn't that a wild weekend?! So this outfit was one from earlier in the week, which really was focused on comfort. 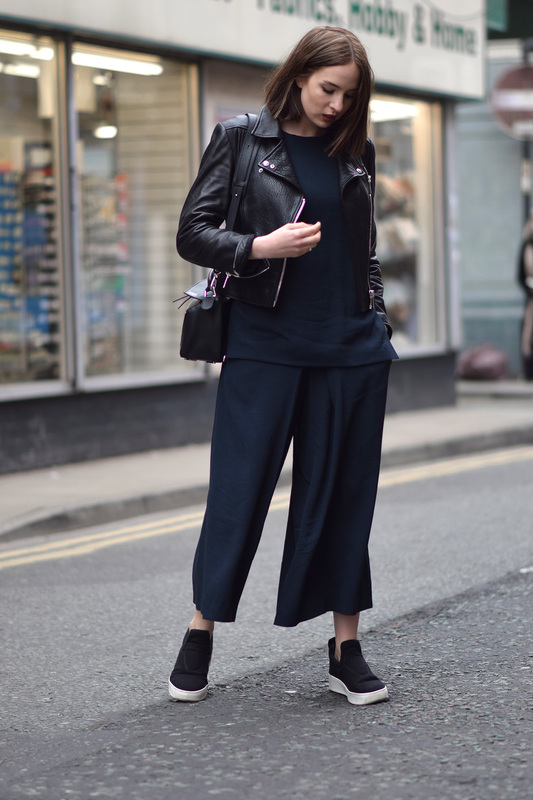 The ultimate loose fitting two piece, topped off with some extra squishy trainers and a leather jacket - YES PLEASE to this EVERY DAY!